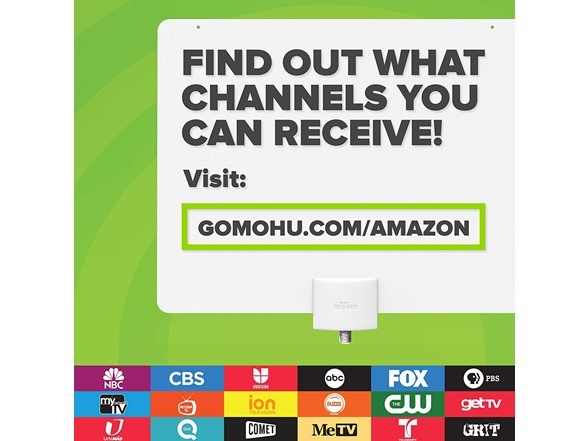 Mohu Leaf is the award-winning antenna that jumpstarted the cord cutting revolution. Launched in 2011, Leaf 30 established the trend of paper-thin antennas with many others striving to achieve the same quality and design. 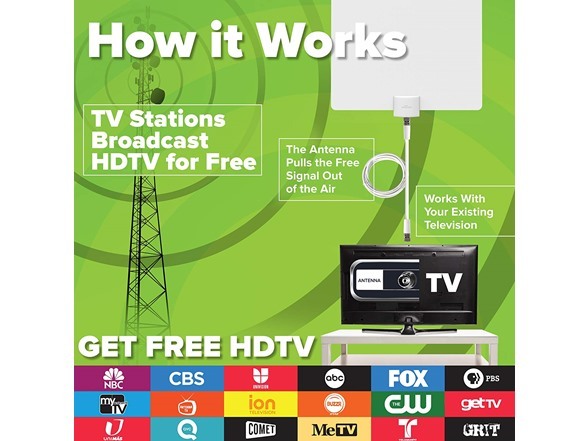 Leaf 30 was the first and continues to be one of the top-rated and most popular HDTV antennas available on the market. 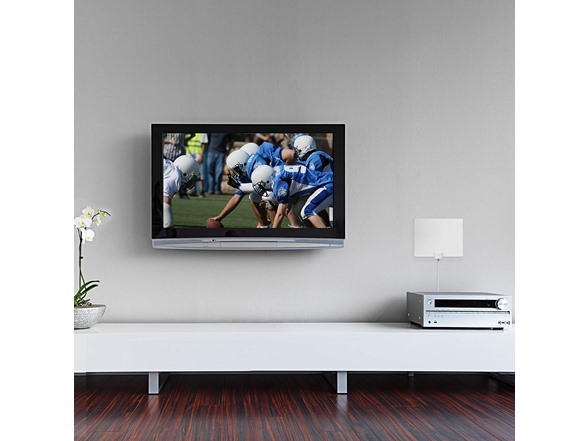 The Mohu Leaf 50 is the amplified version of the world’s first paper-thin HDTV antenna. The patented Leaf 50 was modeled after life-saving technology designed and developed for the US Military to discreetly detect IEDs, making it the most reliable and sophisticated indoor antenna on the market today. We are proud of our military connection, and it is evident in our design, quality, and stability. We are also proud to say that our Leaf antennas are made in USA. 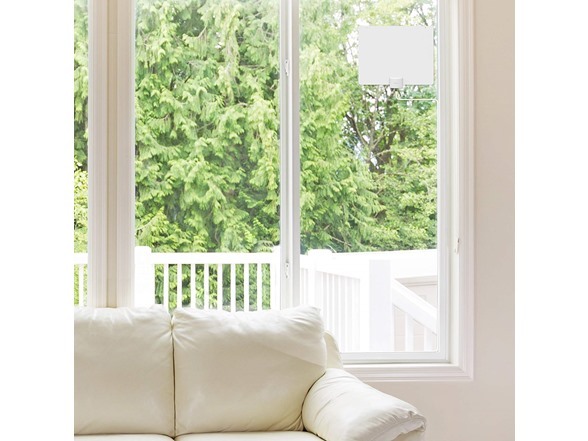 Leaf 50 lets you enjoy over-the-air networks in your area without paying a monthly fee. That means you can watch 94 of the 100 most-watched TV shows for free from networks like ABC, CBS, FOX, NBC, PBS, The CW, Univision and more. And because over-the-air broadcasts are uncompressed, you will experience the clearest picture quality possible with your HDTV antenna. 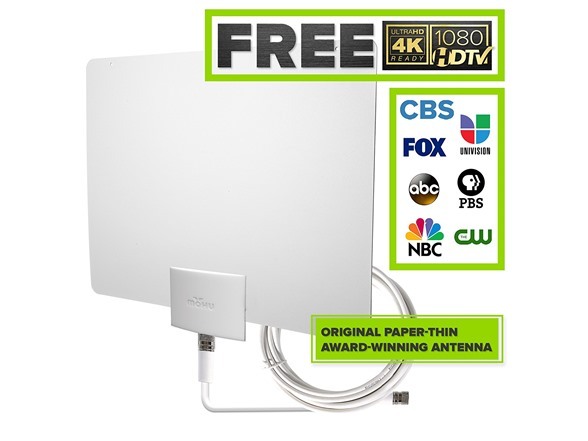 Mohu Leaf 50 is now tested to reach up to a 60-mile radius and includes a high performance 16 ft. detachable coaxial cable, giving users the flexibility to place the antenna much higher on a wall or close to a window for optimal reception. 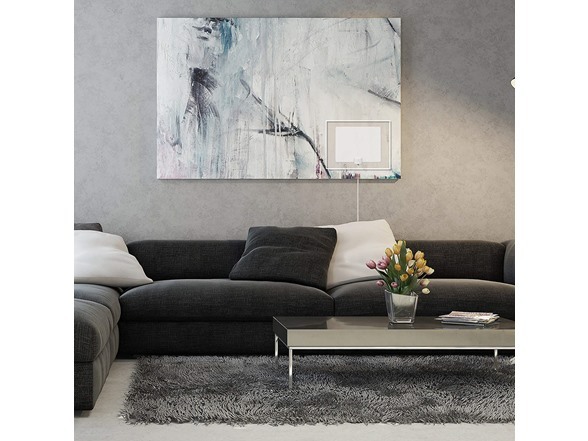 Leaf 50 indoor HDTV antenna is also paintable and reversible to match decor, and much easier on the eyes than a traditional antenna. 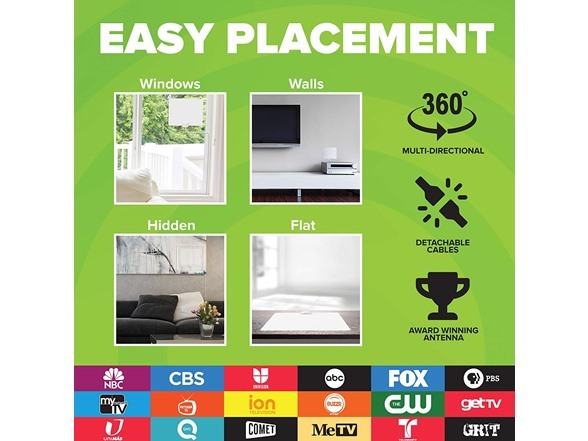 Setup is as easy as plugging it in, turning on your TV, and scanning for channels.